Scotland’s newest solicitors with Alison Atack, president of the Law Society of Scotland, Lorna Jack, its chief executive and Lord Eassie, who spoke at the admissions ceremony at the Signet Library yesterday. Pictured (L-R): Susan Henretty, Maxine Chiverton, Johnston Clark (centre back), Rachael Delaney & Richard Wilson. 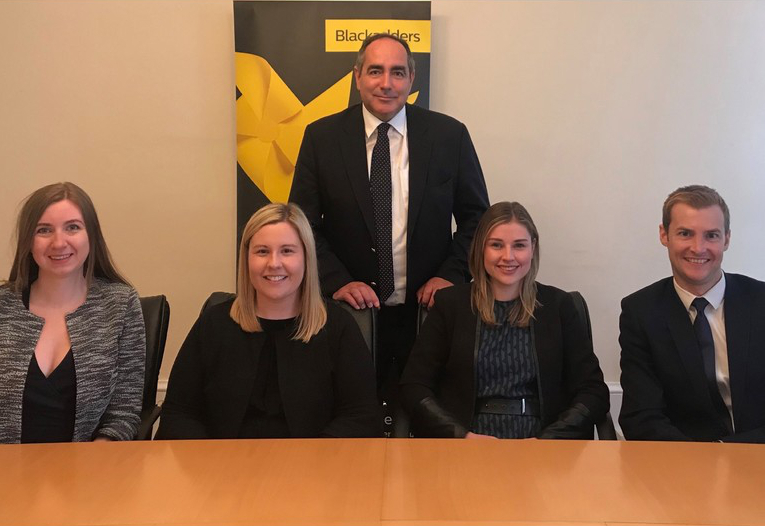 Blackadders managing partner Johnston Clark congratulated the firm’s NQs, saying: “I would like to congratulate our newly qualified solicitors. “All four have successfully completed their two-year traineeships and have all gained valuable knowledge on a wide range of legal matters.